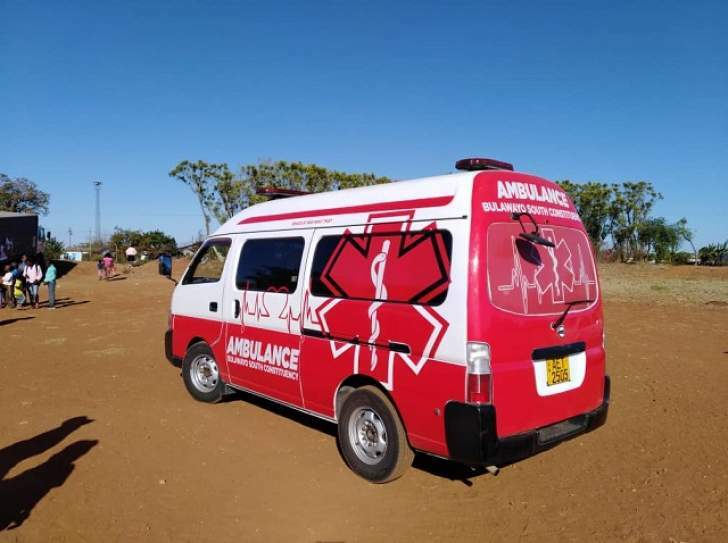 PROMINENT Bulawayo businessman and Zanu-PF aspiring Member of Parliament for Bulawayo South, Raj Modi yesterday donated a state-of-the-art ambulance to the communities of Sizinda and Tshabalala. Addressing party supporters yesterday at Sizinda Sports Ground, Modi said he was delighted to have been accepted by the people and would tirelessly work towards bettering their lives. "Nothing is impossible, when I came to Zimbabwe in 1981 I had very little but I worked hard and managed to develop into a successful businessman. Someone asked me how I would get my money back by building and refurbishing some buildings. I said I was not worried about that, all I want to do is to better the lives of the people. I am here because of the people and I will fulfil the will of the people," said Modi. He urged people to vote for Zanu-PF, as it was a visionary party that had worked towards creating and developing business lines within and outside the country. "Vote for our President, vote for me, as well as our aspiring councillor. Let us make this constituency great. I am not a man of many words, I am for action and results oriented," he said. Speaking at the donation, Minister of Health and Child Care Dr David Parirenyatwa commended Modi for his gesture, saying the country deserved and needed humble businessman like Modi. "Vote for Zanu-PF for effective and efficient service delivery. This is all made possible through the new dispensation. The country is on a straight and definite recovery path. As we go out in our numbers to cast our votes, we say no to violence during and after the elections. Zimbabwe has and is able to hold free, fair, non-violent credible elections," said Dr Parirenyatwa. "Modi is a hard worker and is very trustworthy. We are saying vote for a legislator who will be for the people. Some just want to be voted in and thereafter disappear. A lot has changed since President Emmerson Mnangagwa came into power and this is evidenced through what we strive to deliver as a party. There is hope all will be restored, this city will once again be called the country's industrial hub," said Dr Parirenyatwa.